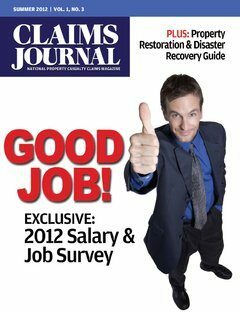 Inside this issue: Our exclusive 2012 Claims Industry Salary and Job Survey. Plus, a look at predictive analytic and modeling tools impact on insurance. And don’t miss our Guide to Property Restoration & Disaster Recovery!